Gogia’s magic shows combined comedy, comment and humorous patter with tricks, and incorporated dancers between sets. Shahrukh Khan’s brief appearance in the film Tubelight as Gogo Pasha, a travelling magician who helps Laxman (Salman Khan) find his inner-belief (yakeen), has revived memories of a real Indian mystifier who once rivalled P.C. Sorcar as India’s best. Gogia Pasha fooled the world by pretending to be an Egyptian for most of his career. In fact, he was born Danpat Rai Gogia in 1910 in the Multan district of what is now Pakistan, and after partition moved to Dehradun. His father was a Minakari jeweller whose business problems left the family in debt. 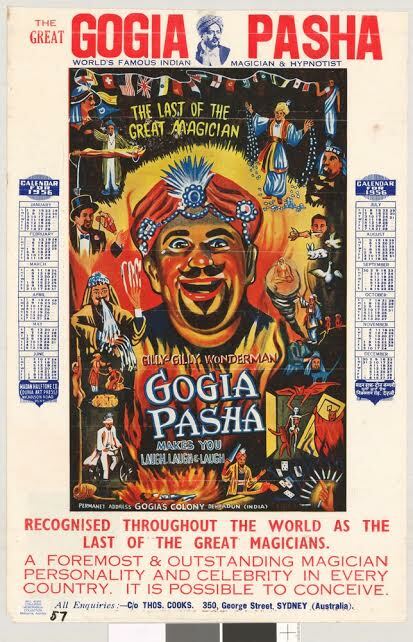 Gogia went to England and took up conjuring after watching a performance by the British magician and inventor Owen Clark in Blackpool, in the late 1920s. After the show, he went up to Clark and suggested how to improve some of his tricks. The Englishman made him his apprentice and when he died in 1929, left him his equipment. Gogia returned to India and added Pasha to his name. He grew a goatee, giving him a slightly wicked look, donned a turban and a set of shimmering robes that hovered over his rotund frame, and became known as the ‘Gilly Gilly’ man, after the Egyptian slang for magic. Although a contemporary of Sorcar’s, the two rarely crossed paths. Gogia was touring Europe and Australia in the mid-1930s, when the Bengali man was still testing the waters in Malaysia, Japan and China. Whereas Sorcar fell out with his fellow prestidigitators by calling himself The World’s Greatest Magician before he had even travelled outside of India and was later accused of stealing many of his tricks, Gogia let his magic do the talking. According to Gene Gordon, the co-founder of the influential International Brotherhood of Magicians in 1956, he was ‘a Hindu with a sense of humour and the ability to mix with the gang and be a regular fellow instead of a princely parader. Gogia was a real showman and sold his stuff well.’ He also worked in the movies, appearing in features such as the Tamil action thriller Minnalkodi (Bolt of Lightning, 1937), starring Rukmini who played a dacoit Dilruba, starring Dev Anand and Ek Thi Ladki, with Meena Shorey and the comedians Majnu and I.S. Johar. Gogia’s shows combined comedy, comment and humorous patter with tricks, and incorporated dancers between sets. His signature acts included Cups and Balls, producing live chickens from his mouth and a levitation feat where his assistant was placed upon the points of three swords, two of which were removed, leaving only one under her neck to support her. The show concluded with Gogia mingling and interacting with the audience, producing cascades of coins from beards and sleeves and ‘various articles of intimate feminine attire’ from one gentleman’s waistcoat – a revelation that ‘vastly amused the ladies of Walham Green’. After the war, he toured extensively throughout Europe, Asia and Australia. While in Germany, he presented a coin act called The Man with the Hundred Million Dollars to Adolph Hitler, who reportedly enjoyed it so much he jokingly asked him to become the Reich’s treasurer. 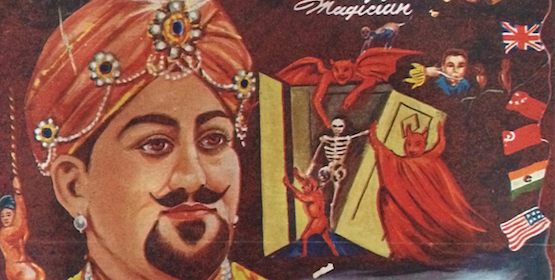 In the 1950s – and probably in response to Sorcar – he began calling himself the ‘World Renowned Egyptian Master of Magic’ and ‘The World’s Greatest Entertainer’. 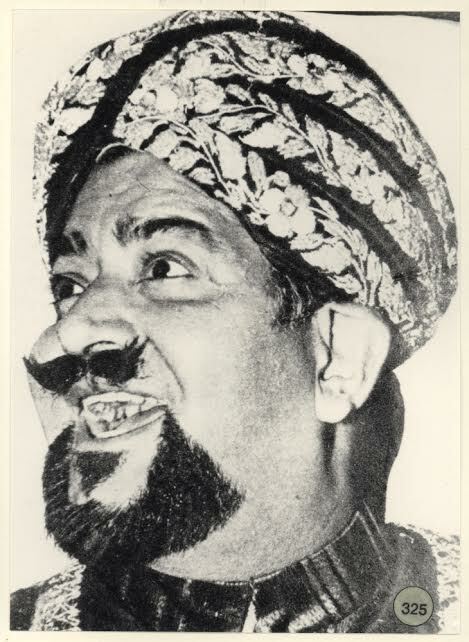 In 1953, he was elected president of the Indian Magicians’ Club and three years later was the headline act at the 1956 IBM Convention in Miami, Florida. His program was an amalgam of western and oriental tricks and included X-Ray Eyes, Tongue Cutting, Noah’s Ark, Flying Ranee, Cigarettes and Cards, the Cabinet of Dr. Albini, King Pharaoh’s Dream, Wonders of the Pyramids, the Haunted Hotel and the Basket of Death. 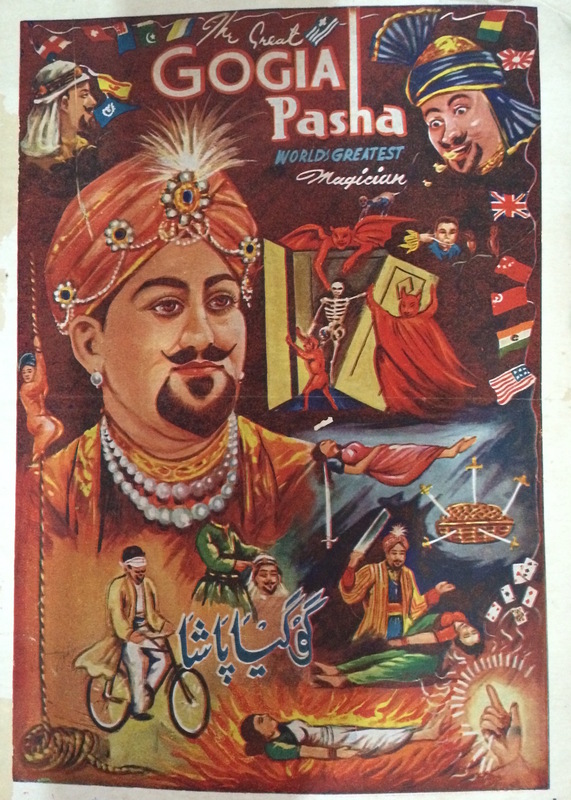 Besides making magic, Pasha was known for his culinary skills, cooking delicious meals in Persian and Indian style and utilising rare curries and spices to anyone who visited him at his home in Dehradun. He continued performing, appearing before among others, Jawaharlal Nehru and the Beatles, until his death in 1976. 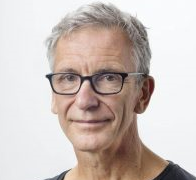 John Zubrzycki is a Sydney-based author and researcher who is writing a history of Indian magic. He previous books are, The Last Nizam: The Rise and Fall of India’s Largest Princely State and The Mysterious Mr Jacob: Diamond Merchant, Magician and Spy.